Deadpool 2 arrives in a couple of weeks, and you know? It's probably going to make a lot of chimichangas. Probably not Infinity War numbers but it should do well enough to inspire some funny tweets from Ryan Reynolds about coming close. And if it does, then maybe we'll get a Deadpool 3 after all, even if Reynolds doesn't think there will be one. The sequel's first clip has arrived and it's everything we could have hoped for. 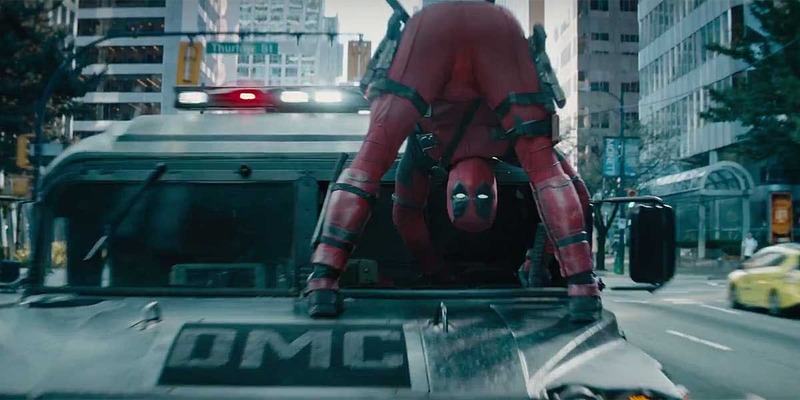 Domino (Zazie Beetz) uses her luck manipulating powers to drive a big rig through traffic while Deadpool follows in a slow moving moped. Meanwhile he's making some hilarious, and fairly obvious, double entendres about Cable (Josh Brolin) who is entering the vehicle from the rear. The action is slick and polished, just like we'd expect from John Wick and Atomic Blonde director David Leitch. If the rest of the movie is like this we are in for a treat. Disney's already pulling the strings and the ink isn't even on the contract yet.